All Things Open has come and gone once again, and what a conference it was! Throngs of excited developers and entrepreneurs, a multitude of learning sessions led by industry experts, and of course…free food. Perhaps the most exciting thing about All Things Open is the sense of passion that permeates the venue. All the attendees are excited to be in this big, open space where they can celebrate technology and learn more about what the future holds for open source endeavors. For two straight days the Bridgera team swapped stories with other tech leaders, attending dynamic learning sessions, and spread the word about its custom IoT platform that was built from the ground-up using an open source big data architecture. Bridgera is proud to partner ATO2017 to be a sponsor for this year’s event. 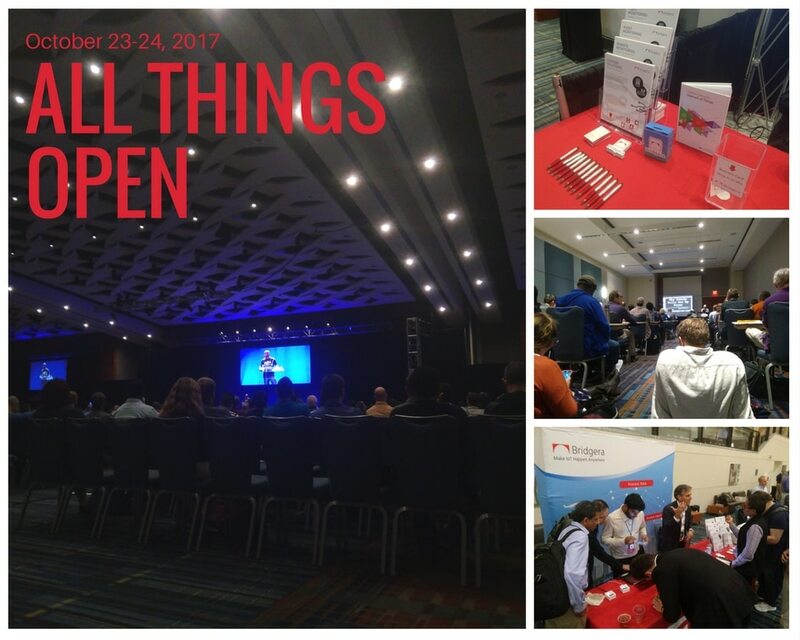 We made a lot of new friends at this year’s conference, and we’re already looking forward to what All Things Open has in store for us next year!